Demian is a PGA Professional attaining Class A status in 2012. 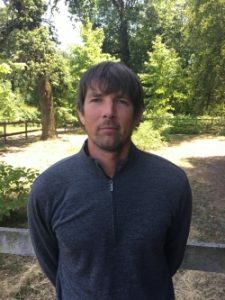 Over the past 11 years Demian has helped golfers of all levels gain new enjoyment for the game through more consistent play. A native of Sonoma County, Demian was a member of the first Windsor GC Junior Team and later played for Cardinal Newman HS. He has a true passion for teaching beginners the game of golf and has been the head of the Windsor GC Junior Golf Program for the past 10 years. He is a certified First Tee instructor and the Program Director director for the newly formed First Tee North Coast chapter. Molly is a Class A PGA/LPGA Golf Professional. 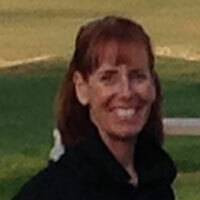 She has 21 years teaching experience and was nominated LPGA Teacher of the Year in 2002. She has taught over 5,000 juniors and participated in the award winning GEL Golf Program. PGA/LPGA instructor Molly James is offering a fun, relaxed setting for with little or no experience necessary! All practice balls and equipment are included. For more information call (707) 838-1260 or visit townofwindsor.com to register. This class is designed to present golf as a fun and exciting challenge for beginners. It covers the fundamentals, full swing, irons, woods and short game principals such as chipping, pitching and sand play. Rules and etiquette are also covered. Equipment and range balls are included. Focusing on fundamentals of golf and how they apply to golf course situations. Topics include: Short Game, Fairway Woods, Tee Shots, Bunkers.